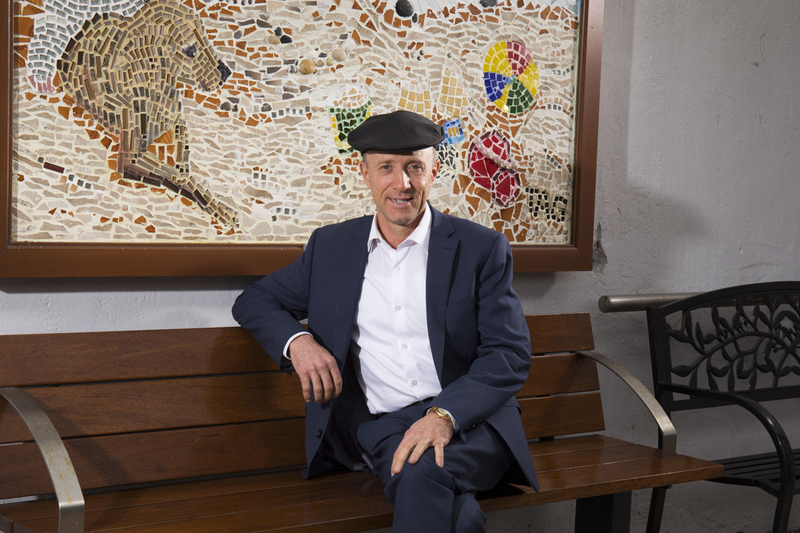 EVER since Michael Healy-Rae was thrust into the public arena in the late 90’s, first as a Kerry County Councillor and then as a TD, he has put up with more than his fair share of scrutiny.Some justified, some just damn right insulting – but the popular Kilgarvan politician says that although he has learned to shrug off the personal attacks, he will not back away from unwarranted and unjustified abuse. “I opened a newspaper one morning and the headline read ‘The Healy Rae Pigs’, he recalls. “When I started out in politics first I put up with a lot of that rubbish, but this was unacceptable. So I called the national journalist in question into my office a few days after and sat him in front of me. I said ‘you have two young children at home – how would you like if I called them pigs’. I told him he wasn’t leaving the room until he answered me. He listened to me and to be honest he got a bad fright, but that was the rubbish you had to deal with,” he said. The story of Michael’s rise to political fame is a well told one, but he still remembers with laughter the exact moment when he realised his calling – and how he was the last one to know about it! When Michael was in national school he would always go to by-elections with his father, Jackie Healy Rae – excursions that often took up to three weeks and which he utterly loved. The novelty of being on the road with his father and comrades Maurice Galvin and Pats Guerin; spending nights in hotel rooms and doing the campaign ‘donkey work’ still brings a smile to his face. As he got older, although he was working full time himself in his machinery business, he became his father’s director of elections and was responsible for organising his clinics – and even running them when his father was unavailable. Despite all that, entering the political fray never really entered his head – until 1997, when his father was elected to the Dáil and he was told he didn’t have a choice! “One night, I was driving in the car with him and a man called Joe Riney and Joe turned around and said I’d have to run in the next council elections for my father’s seat,” he said. Despite facing the challenge of running in the Killorglin Electoral Aea – when his native Kilgarvan was part of the Killarney voting area – he was elected, albeit barely! From there, Michael of course progressed to Dáil Éireann when his father announced in 2011 that he was simply too tired to run again. Despite the criticism that he faces, no one can accuse Michael Healy Rae of not giving the job his all for his constituents – something which he says is his top priority. Being at the end of the phone 24/7 and attending a litany of meetings and events seven days a week certainly comes at a price, however, with Michael being very open and honest about how family life has suffered because of his commitment to is job. So with hardly a minute of down time to spare, one would imagine writing a book would be the last thing on Michael Healy Rae’s mind. And it was, until the people at Gill Books decided to call his bluff when he agreed to do it on his terms! “When the good people at Gill books first came to me with the idea, I gave them my answer. I said it just wasn’t on my agenda and that I wasn’t writing a book about politics and telling my story. I didn’t want to seem ungrateful, so I came up with a plan that I thought would definitely turn them off – telling them that the only way I’d do it is if they provided a lady who would contact me between the hours of 12 midnight and 7am,” he recalls. Michael explained that they did indeed discuss the book at ungodly hours of the morning, with the writer often calling him at 4am and finishing at 7am. The book, Michael explained, was prompted by his Tommy Tiernan show TV appearance when he admitted his regret at not paying more attention to a constituent who subsequently took his own life after getting off the phone with him. Michael said that this story is what prompted Gill Books to make contact about writing the book – and spurned its name ‘Time to Talk’. The book which was launched on October 30th by Kieran Donaghy and is packed with tales that are sometimes humorous, sometimes poignant, sometimes heart-breaking, but always true, capturing the real heartbeat of rural Ireland.